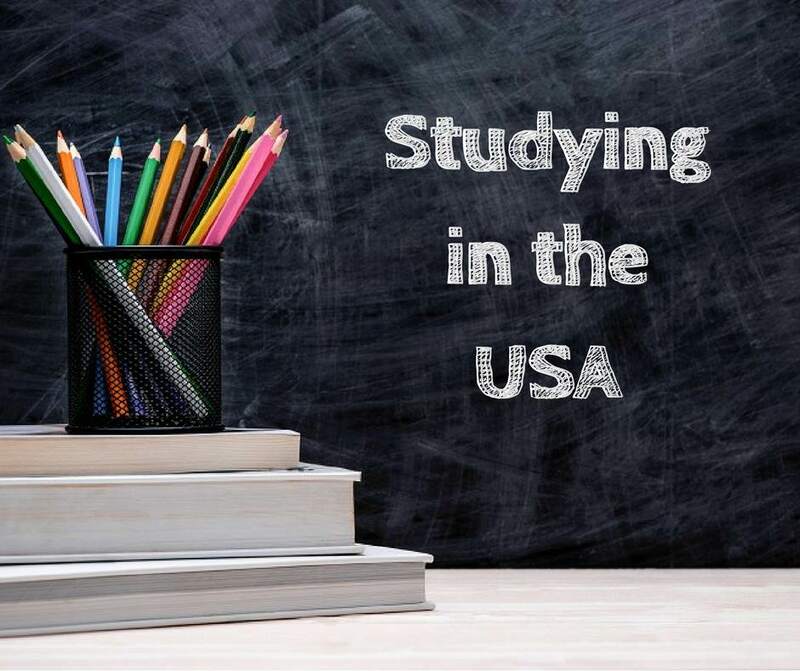 Are you planning a move to the US for study? You’re not alone. In fact, the US attracts 1,000,000 international students to its colleges and universities every year. And it’s very easy to see why. American universities are amongst the best in the world and offer truly high-class education opportunities to their students. 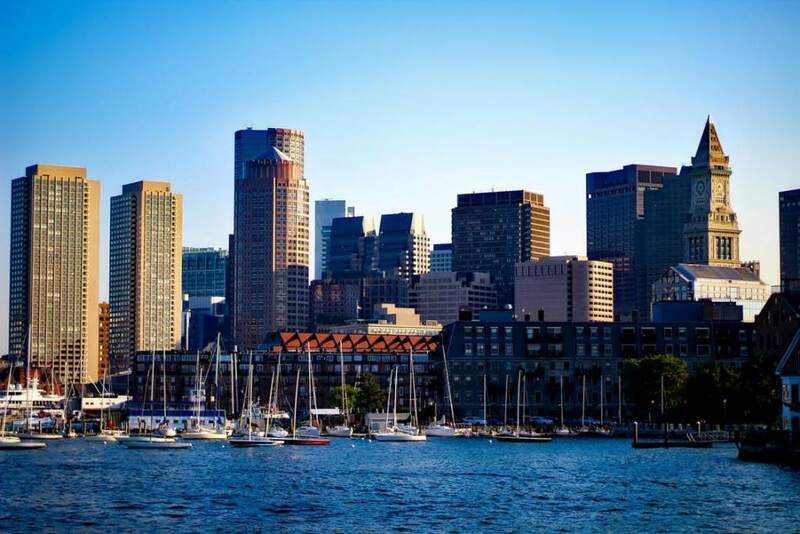 Away from the campus, the US boasts a large mix of cultures which makes it a really interesting place to study and live. But moving to a new country is always a big deal for any international student. And it can be hard to know what to expect. 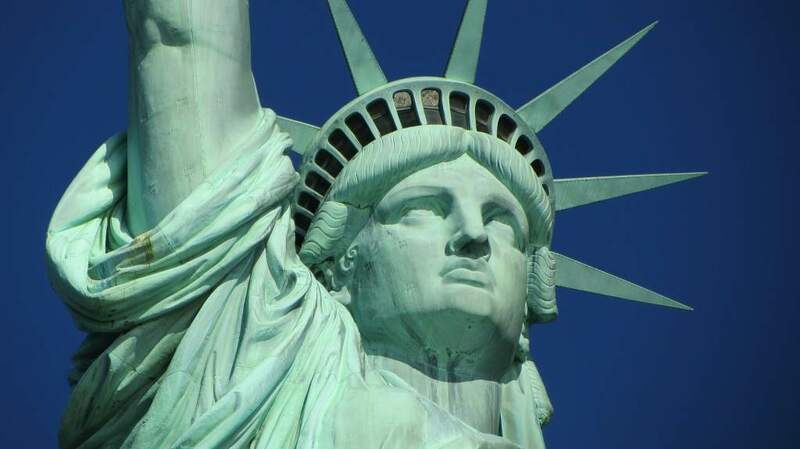 With this in mind, here’s 10 things to expect when you arrive in the US to study. 1 – You might freak out at first! Let’s face it. There’s a lot to do at first when you move to a new country. You’ve got to move into your accommodation and unpack. Next you have to familiarize yourself with the local area. And then you’ve got to get set up with supplies, college necessities, a new phone, a bank account …….. But don’t freak out! This is when the exciting stuff starts to happen. Go out and meet new people. It’s likely there’ll be lots of international students that are going through the same things you are. Talk to them. Pretty soon you’ll be feeling right at home in your new surroundings! ‘Orientation Week’ or ‘Welcome Week’ can be a really useful time to help you get used to your new surroundings. During this week you’ll have a great opportunity to explore your new campus and find your bearings. You’ll also be properly introduced to your course, tutors, and peers. Make sure you use this time to sign up for lots of on-campus clubs and societies as these are a good way to meet people. Studying in the US is no doubt a rewarding experience, but navigating your way through day-to-day issues can sometimes be tough. The aim of an international student office is to assist students, just like you, to adapt to their new environment. They can also help to answer any questions you may have regarding your visa status, housing, employment possibilities, health concerns and more. American universities pride themselves on being at the forefront of technology and research techniques. If you’re chosen discipline doesn’t directly involve science or engineering, don’t worry. You’ll still have tonnes of opportunity to become skilled in using the latest technology to conduct research, as well as obtain and process information. 5 – Life in college is relaxed…. until the grading begins! Life on campus is usually pretty relaxed and flexible. In fact, it’s normal for US students to work classes into their own schedules. Most students are not obliged to show up at every single class, or even to stay for an entire lecture. But, just because you can avoid and skip classes, doesn’t mean you should! Remember, the importance of your grades and Grade Point Average (GPA – an average score based on the grades and results of every class you’ve taken during your studies) can’t be overstated. 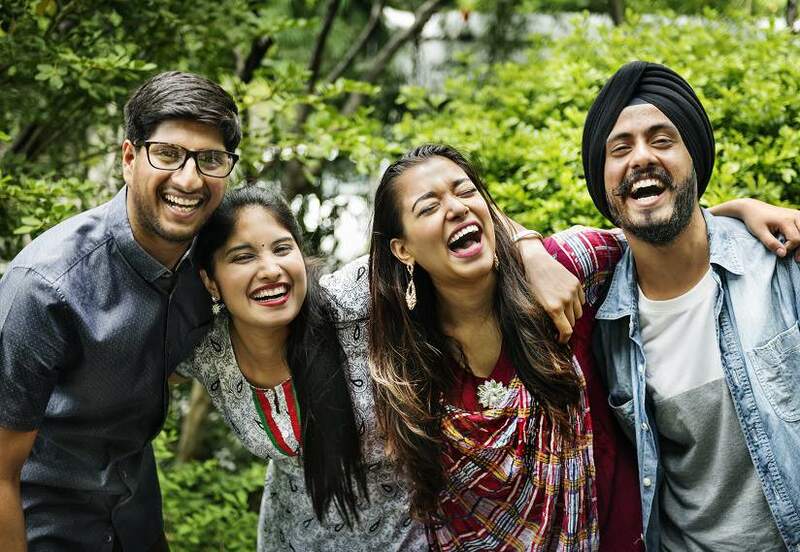 The key is to find the right balance between your studies and enjoying campus life. 6 – You’ll acclimatize to the culture sooner than you think! If you like sports, you’re going to feel right at home in the US. 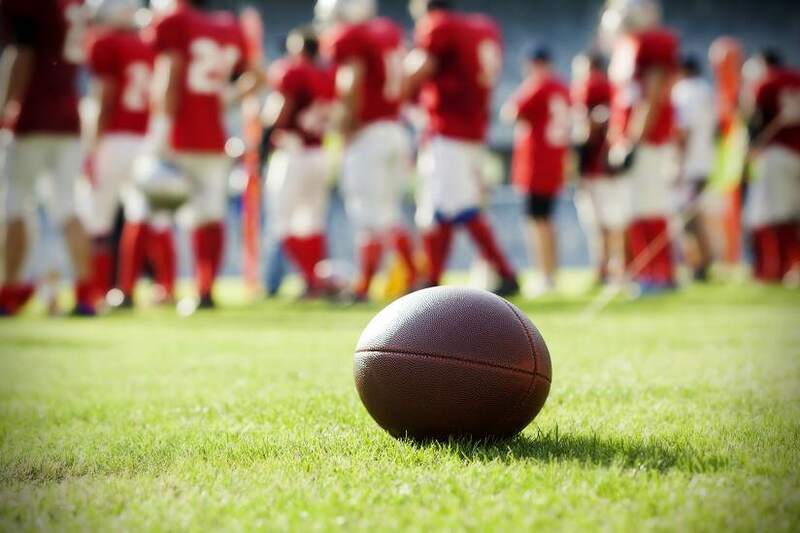 Between all of the professional sports like basketball, American football, ice hockey, baseball and soccer, there is something on pretty much every night of the week! And Americans take their college sports pretty seriously too. In fact, some of the biggest stadiums in the world were built for US college teams. Rooting for your college team is a great way to feel part of the community. Not only will this help you to have conversations with native students, it will also provide you with an authentic experience of American culture. Away from the sports field, you’ll find no shortage of options to keep you entertained. America is at the cutting edge of the music, film and literary worlds. So it won’t take you too long to find something you like. If you like going out on the town, remember that the legal drinking age in the US is 21. And you’ll need a proper ID to get into most bars and clubs. 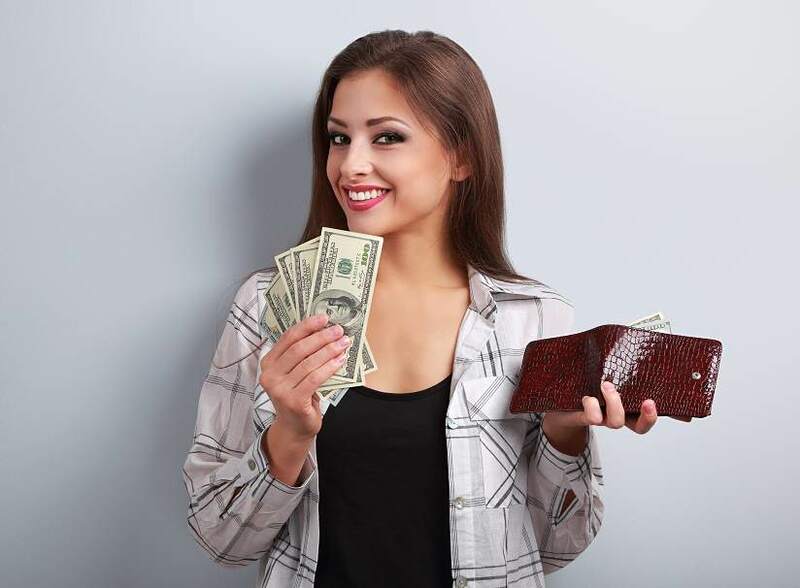 You’ll find a US bank account to be very useful, especially if you plan to work part-time, pay bills or keep savings. Setting up a bank account can take some time, as there a number of steps to complete. So it’s a good idea to start this process soon after you arrive in the US. 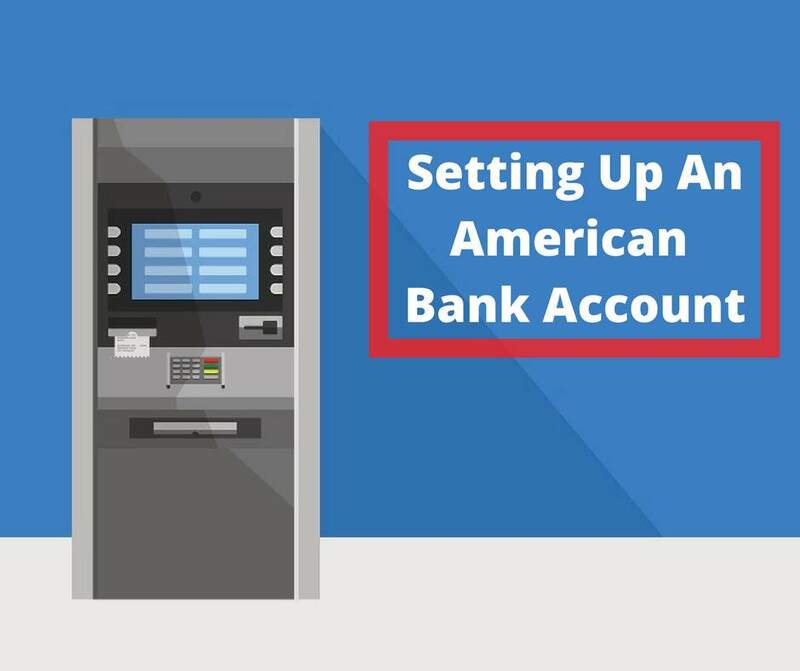 Here’s further information on how to set-up a US bank account and some more tips for international students in America. 8 – You shouldn’t work too hard! You may be intending to search for employment in your spare time and earn some extra cash. But be careful, as not all types of employment are eligible under the conditions of an F-1 (student) visa. For instance, F-1 students who want to work off campus can only do so in roles that are related to their studies. Most of the other off campus roles are not authorized under F-1 and you will need permission by a DSO (Designated School Official) in special circumstances to do this work. F-1 students are entitled, however, to find employment on campus. But it’s important to note that while school is in regular session, a student can’t work for more than 20 hours per week. During extended holidays, breaks and summer sessions, you can work full time (up to 40 hours per week). If you are confused whether a job is considered on-campus employment, ask the employer before you accept the role. You may find this a bit strange if you are normally resident in a country where you don’t have a tax filing obligation. Yes, every international student is required to file a tax return (federal and state, if required) for each year present in the US, and pay tax if they earn income. In fact, it’s one of the terms of the student visa. And even if you don’t earn money during your time in the US, you will still need to file with the IRS by the April 17 deadline. 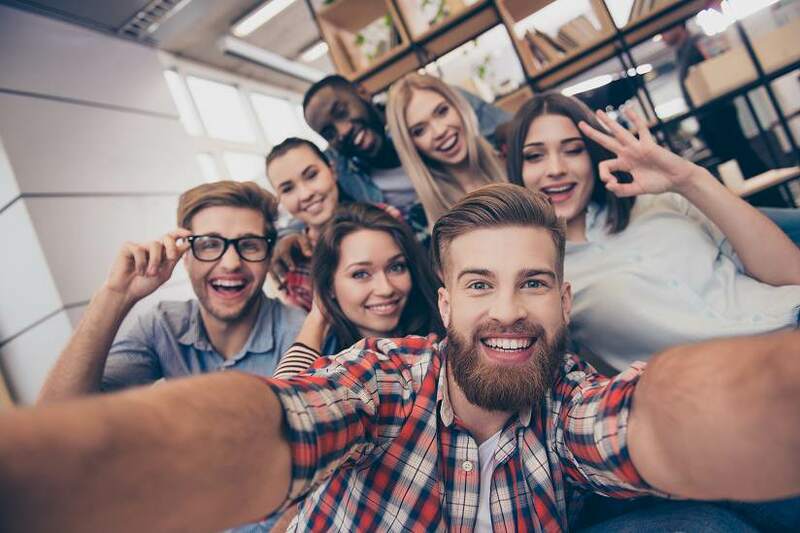 Many international students find the prospect of filing a tax return to be quite daunting and this is completely understandable. Fortunately help is on hand! Sprintax can file your fully compliant Federal, State and FICA tax return. We can also help you to retrieve your maximum legal tax refund. And, if you’re confused about your US tax obligations, Sprintax can answer any questions you have. Get in contact with us today! 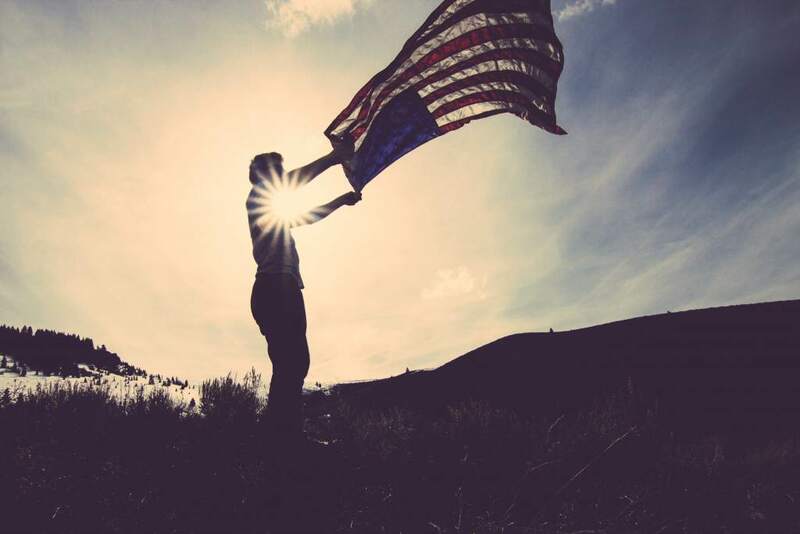 We’ll take care of the complex tax requirements so all you have to do is enjoy your time studying in America! You’re studying in the United States after all! Each day you will have opportunities, not only to broaden your knowledge in top academic institutions, but also to collect countless life experiences that will stay with you forever. Most universities offer a variety of student clubs and organizations to meet every interest. You’ll also have the chance to immerse yourself in American culture, meet new people and make new friends. What could be more exciting? Enjoy! The tax filing deadline is on the horizon and quickly approaching! And most employees are now on the lookout for their W-2 tax form. But why is this little form so important? 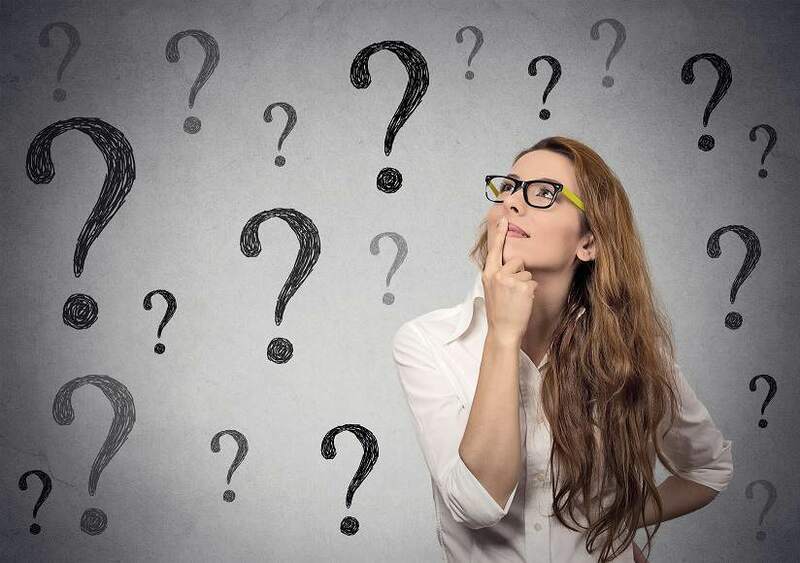 What is a W-2 Form and why do I need it? 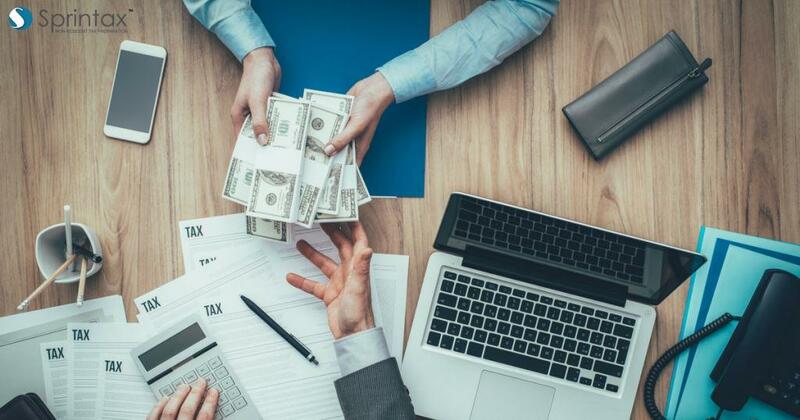 The Internal Revenue Service (IRS) requires every employer that is engaged in a trade or business, and that pays remuneration for services performed by an employee, to file a Form W-2 for each employee. 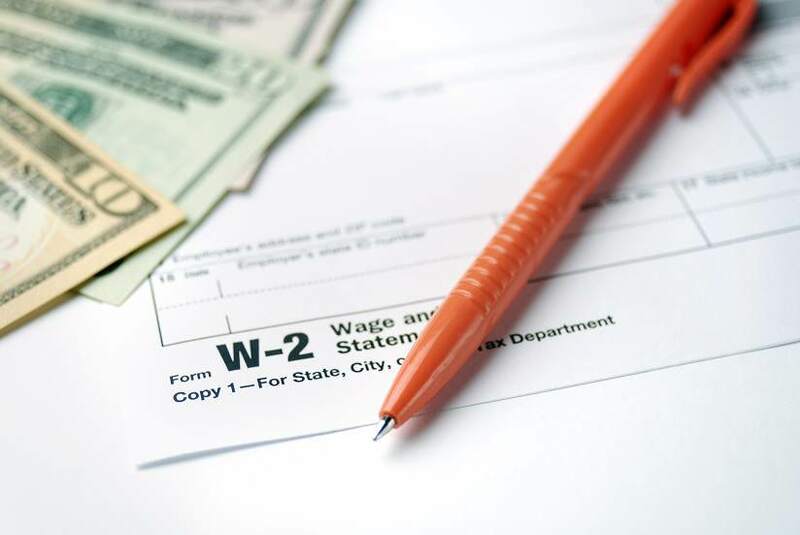 You will find the W-2 Form to be very useful when you are filing your end of year tax return. 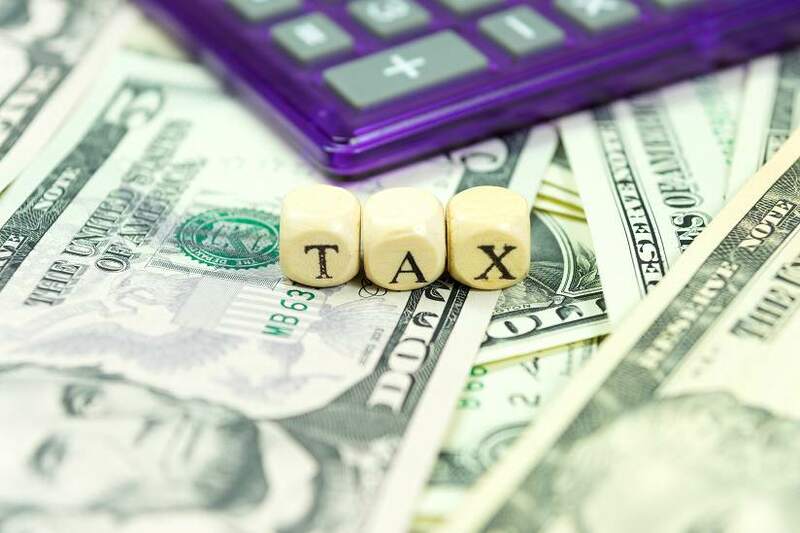 The form includes important details regarding your total gross earnings including wages, tips and taxable fringe benefits, Social Security earnings, Medicare earnings, and the Federal and State tax that is withheld. How do I read a W-2? The information is divided into different sections on the form. For example, in Box 1 you will find information about your annual wage and salary payments, together with the amount of federal tax withheld from it in Box 2. Other boxes on the W-2 form such as 3, 4, 5 and 6 include your wages subject to Medicare tax, Social Security tax and the amount of these taxes withheld from your income. Boxes 15 to 20 provide information about each state you worked in, state income subject to tax in this state, and the amounts of state and local taxes withheld, if applicable. Important elements like your name, surname, address and SSN or ITIN (social security number or individual taxpayer identification number) as well as your employer’s EIN (employer’s identification number) are also included on the form. Note: While you read your W-2, always double check that the information is correct. If you find any errors, inform your employer immediately about the mistakes so they can amend them before you start your yearly tax return. Your employer must provide you with your W-2 form by 31 January after the end of the tax year to which it relates (for example, you must receive your W-2 form by 31 January 2018 for the year ending on 31 December 2017). 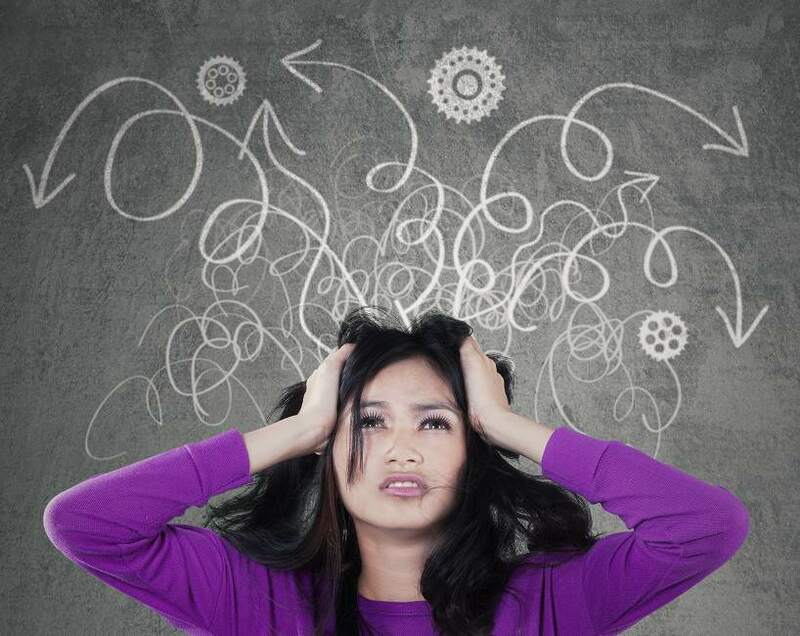 What if I still haven’t received my W-2? 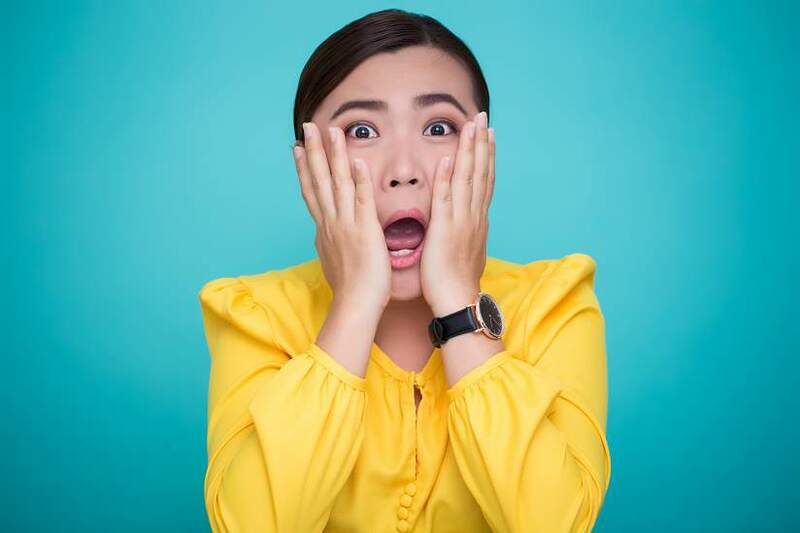 If this deadline has passed and you still have not received your W-2 form from your employer, you should contact them immediately to confirm that it was sent and that it was dispatched to the right address. Your employer may also provide your copy via a secure link online. Alternatively, you can contact the IRS or use Sprintax offline services provided by our team of tax professionals. Got all your income documents? If you have received your W-2 Form, as well as any other required income documents (such as 1042-S or 1099’s) you can use Sprintax to prepare your tax returns online. Last year Sprintax assisted approximately 100,000 international students, scholars and non-resident professionals with their tax returns. 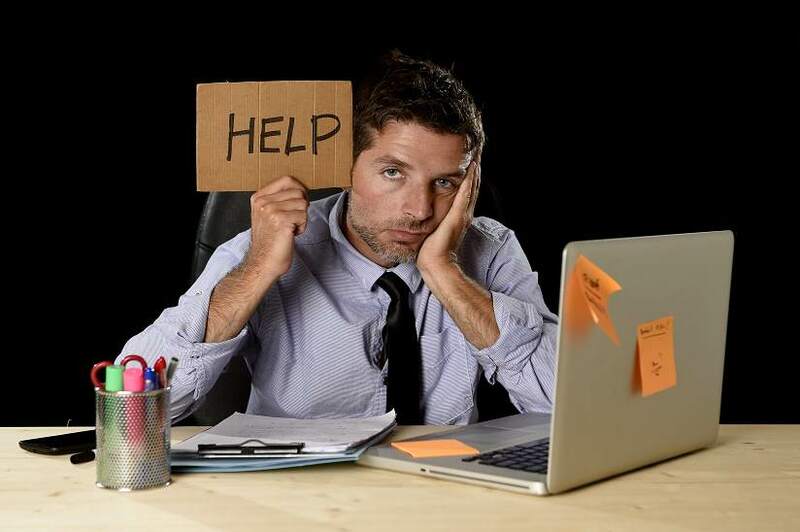 What’s more, 90% of those that had a Federal filing requirement were also due a refund! 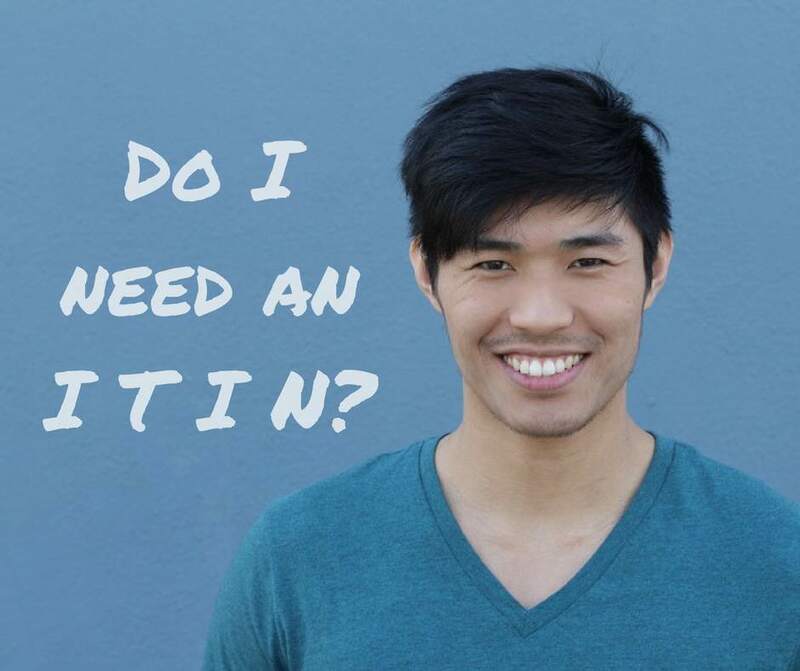 Get started with Sprintax today and our live chat team will guide you through your tax return! Can I leave and return to the US on an F-1 visa? Am I entitled to work during the semester? 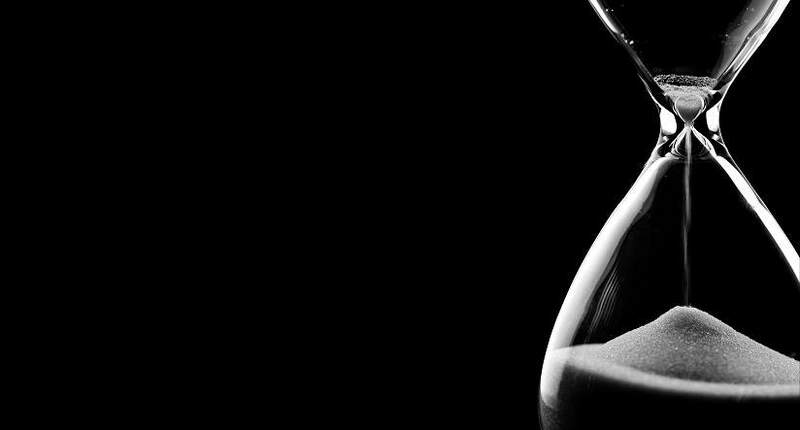 How long can I stay in the country after my program is finished? 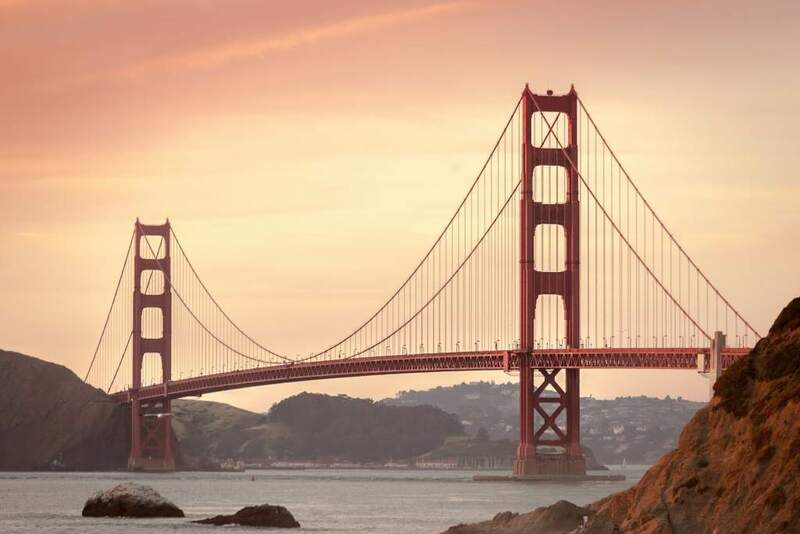 All your F-1 visa questions answered! Dreaming of American college life? Getting your hands on an all-important F-1 visa is a big step towards turning that dream into a reality. But getting an F-1 visa is one thing, maintaining it is another. 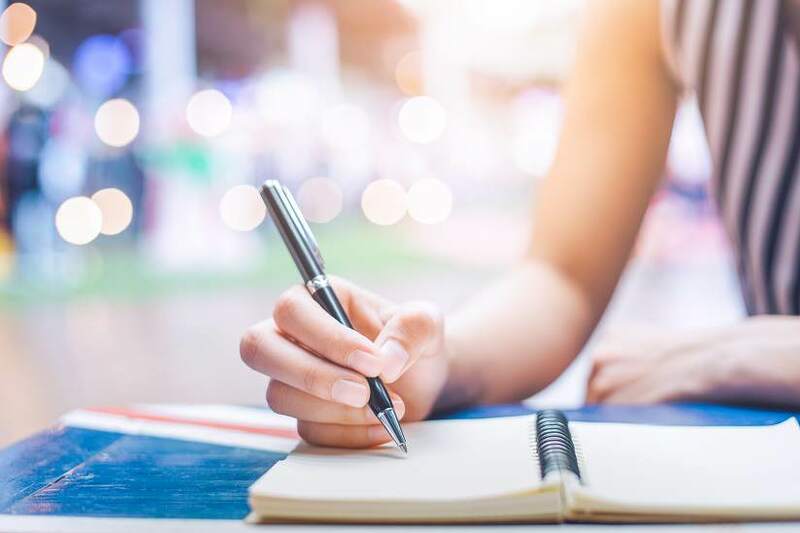 As a student, there are a number of important rules and regulations that you must follow in order to maintain your F-1 visa status. If you don’t do so, you will not be allowed to re-enter the US if you leave, and you won’t be eligible for practical training (OPT or CPT) or on-campus employment. Once you receive your F-1 status, you’ll without a doubt be eager to hit the ground running with your studies. But don’t be too eager! One of the requirements of the F-1 visa is that you don’t arrive in the US more than 30 days before the first day of classes. You’ll also need to link in with your institution’s international office within 30 days of your arrival. Be sure to provide them with your local address in order to keep your SEVIS (Student and Exchange Visitor Information System) record up-to-date. And if you change your local address at any time while in the US, you will need to notify them of this. Once you have completed your program, you will have 60 days to leave the US. All F-1 visa holders are required to be enrolled full time, go to class and maintain passing grades. Students who are having difficulty in classes, should notify their international advisor. And if it’s not possible to complete your program by the date stated on your Form I-20, your international advisor can help you request an extension. Full-time enrolment can differ depending on your student status. For example, undergraduate programs require students to enrol in at least 12 credit hours each semester during the academic year. Meanwhile, each graduate program defines their own unique combination of credit hours and research time to be considered ‘full-time enrolment’. To uphold your F-1 visa status, it’s best to confirm the enrolment requirements with your college. 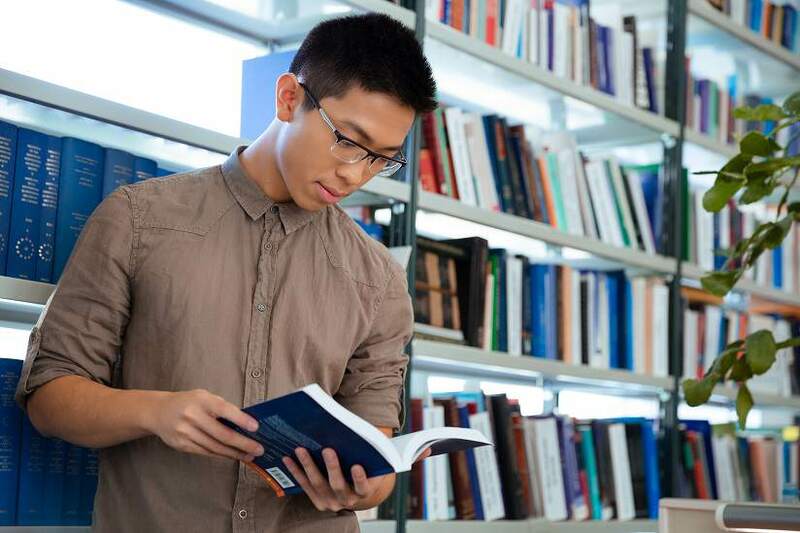 It’s common for students to seek full or part-time employment while they study in the US. But be careful, not all types of employment are eligible under the conditions of an F-1 visa. For instance, F-1 students who want to work off campus can only do so in roles that are related to their studies (more on this below). Most of the other off campus roles are not authorised under F-1 and you will need permission by a DSO (Designated School Official) in special circumstances to do this work. It’s important to note that, if you choose to work without the proper authorization, your visa can be revoked and you may have to leave the US. F-1 students are entitled to find employment on campus. However, while school is in regular session, a student can’t work for more than 20 hours per week. During extended holidays, breaks and summer sessions, you can work full time (up to 40 hours per week). If you are confused whether a job is considered on-campus employment, ask the employer before you accept the role. F-1 students are permitted to work off-campus in Optional Practical Training (OPT) status both during and after completion of their degree. You can apply for OPT after being enrolled for at least 9 months, but you can’t begin employment until you receive your Employment Authorization Document (EAD) and you have been enrolled at the college for at least a year. 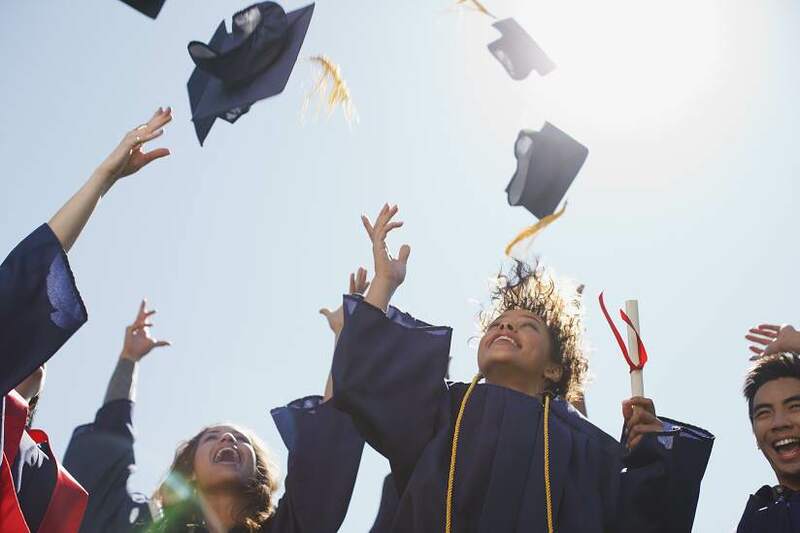 You can complete 12 months of OPT for each successive level of degree achieved – for instance 12 months of OPT after receiving your undergraduate degree, and a further 12 months after receiving your graduate degree. Curricular Practical Training (CPT) is another off-campus employment option for F-1 students where practical training is an integral part of their curriculum or academic program. CPT employment is defined as ‘alternative work/study, internship, cooperative education, or any other type of required internship or practicum that is offered by sponsoring employers through cooperative agreements with the school’. 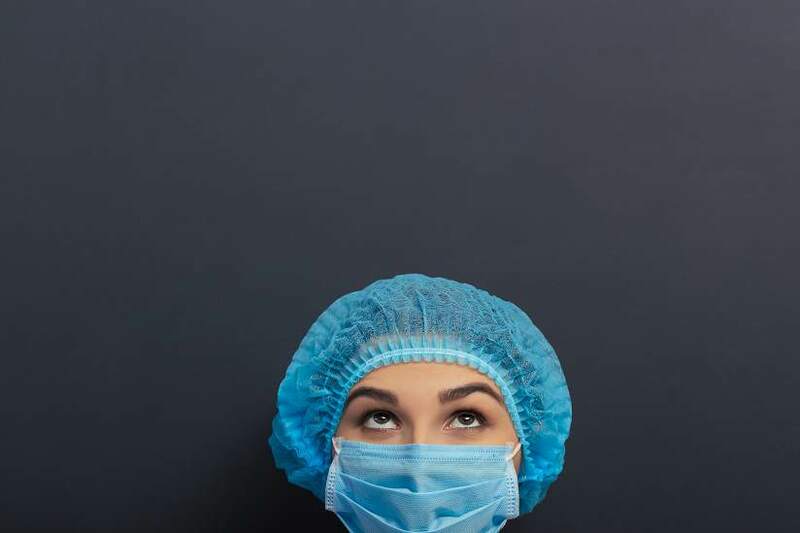 Note: All OPT and CPT employment requires prior authorization from your school’s International Student Office. And if you work for 12 months or more of full-time Curricular Practical Training (CPT) you will not be eligible for OPT. Thinking of heading home for a holiday during a break in semester? As long as your absence from the US is for no less than 5 months, you will have no problem leaving and re-entering the US on an F-1 visa. To maintain your F-1 visa status you will need a passport that is valid for at least six months into the future. Your country’s consulate or embassy can help you extend your passport if needed. 1 student unless you have been admitted to a new program of study and have a new Form I-20, or you are returning to an authorized OPT job. (5) Don’t forget your taxes! To maintain a valid F-1 visa, you are required by law to file a tax return if you were in the US during the previous calendar year. 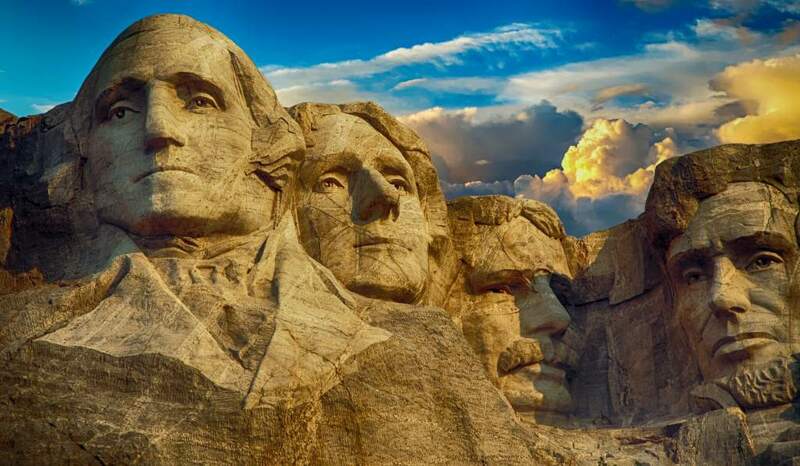 Filing a tax return is probably the last thing you’ll want to do when you’re enjoying an exciting time in the US. Fortunately help is on hand! Sprintax can prepare your Federal and State tax returns for you. And we guarantee to maximize your tax refund too! Last year 9 out of 10 Sprintax users with a Federal filing requirement were due a tax refund. What’s more, the average Federal refund was over $1,000. 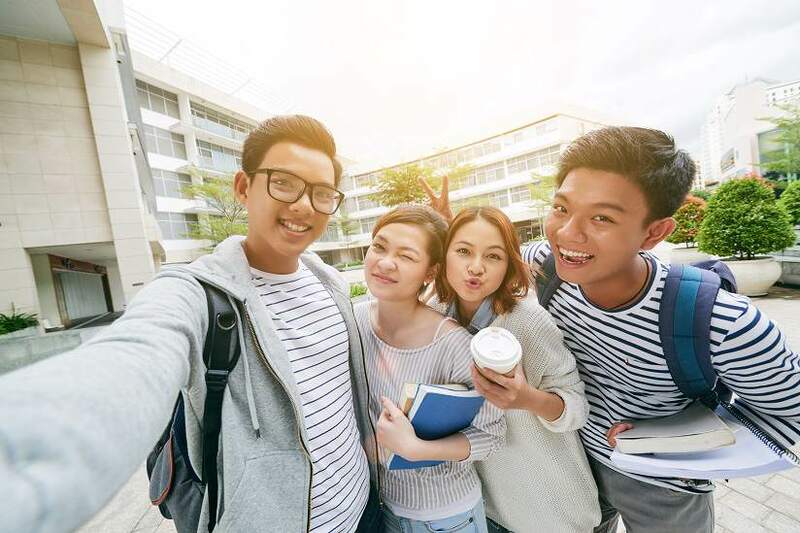 Did you know that the US attracts approximately 1,000,000 international students to its colleges and universities (of which there are more than 4000!) every year? That is a lot of students! 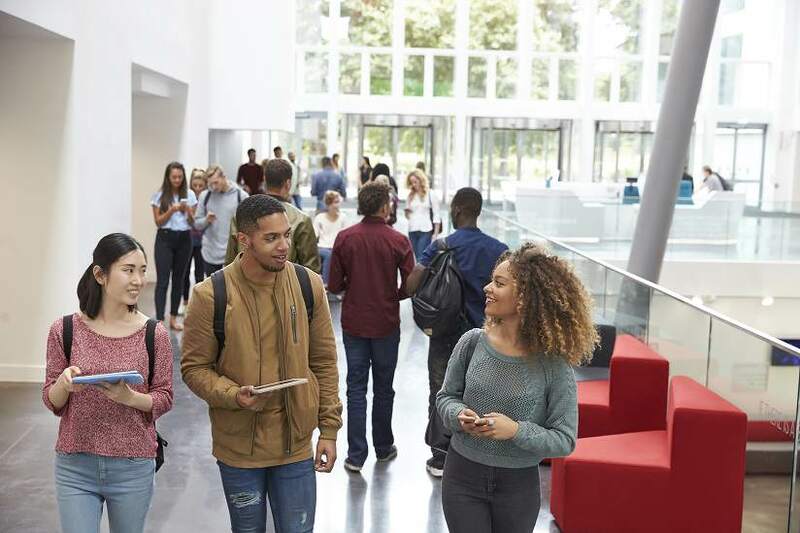 But when you consider the standard of university in America – Princeton, Yale and Harvard, to name a tiny few – it’s very easy to see why the US is so incredibly popular with international students. So there are countless benefits to studying in the US. But moving to a new country is always a big deal. And, exciting as America is, it can be hard to settle in and find your feet at your new college, especially if you don’t know anyone when you arrive. With that in mind, here are 5 Things I wish I had known before I studied in the US. 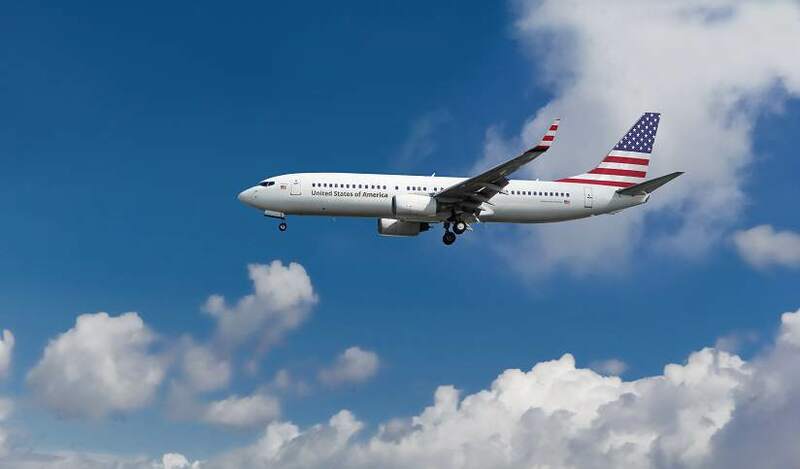 These tips should help you to hit the ground running when you arrive in the US. 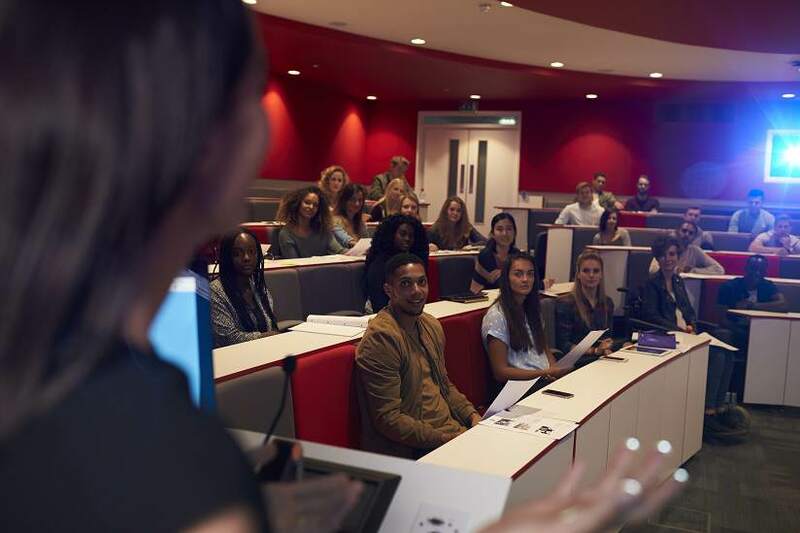 If you’re not confident in your level of English, or you don’t know anyone in your college or course, you may find the prospect of starting college in the US to be daunting. But as daunting as it may be, the best way to meet new people and make friends is to throw yourself into as many activities and events as you can. The first thing that you should do is to attend freshman orientation. This is a great chance to get to know your fellow classmates and learn more about upcoming activities that will be taking place on campus. Many universities have a ‘Student Activities Centre’ where you can join sports, clubs, societies, and even student government! You’ve always wanted to go into politics, right? Maybe not! Or perhaps consider joining a fraternity or sorority. This is another great way to make new friends and ensure that you have an active social life during your time in America. Lastly, if you’re still feeling nervous about your move, don’t worry. Plenty of other international students will be feeling the same way. Talk to them! Aside from making friends, you’re in the US to study, right? So it’s useful to know that there are a few differences in the American approach to education then what you may be used to at home. For starters, class participation really matters. ‘So I have to talk in class, in front of all of those people?’ Yep, I’m afraid so! You might be used to a more passive approach to education. 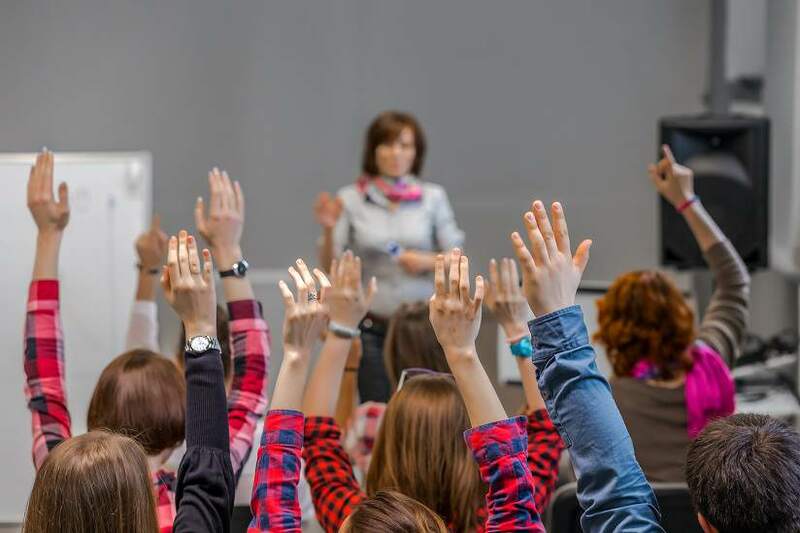 But in the US, discussion between professors and students plays a big role in college courses, and class participation is often a factor in deciding final grades. It might take you a semester or two to feel comfortable enough to really get involved in discussions and debates. But the sooner you do, the better. If your English isn’t as strong as you would like it to be, why not spend time before class practicing some of the phrases or points you’d like to make on the topic? 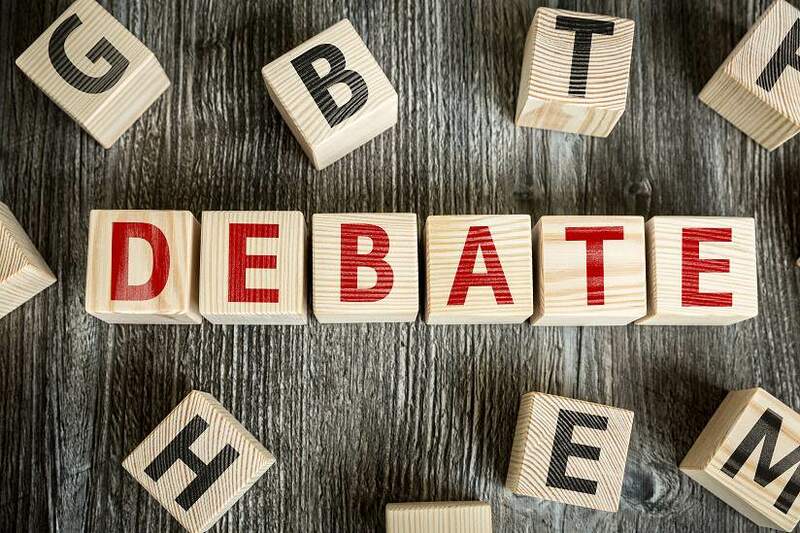 And remember, as an international student, you may have a different perspective on a particular topic than your American peers which will make it easier for you to add something new and interesting to a debate. If you’re studying in the US then you’re going to need a bank account – especially if you plan to work part-time, pay bills or keep savings. Setting up a bank account can take some time, as there a number of steps to complete. So it’s a good idea to start this process soon after you arrive in the US. The first thing to do is shop around. Most banks will change a fee for their services. This will usually be around $12 per month for a basic checking account (for everyday expenses and daily withdrawals), but this will vary depending on the bank. 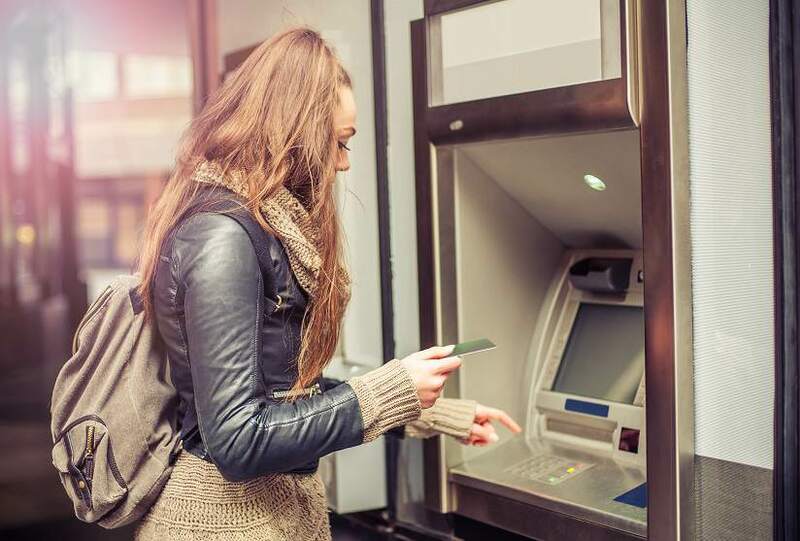 Some banks offer student checking accounts which may offer more favourable terms. By doing a bit of research, you’ll be able to find the right bank for your needs. • Proof of address (e.g., utility bill, apartment contract). • College address (e.g., enrolment verification letter). Finally, the last step is to make a deposit in order to activate the account. 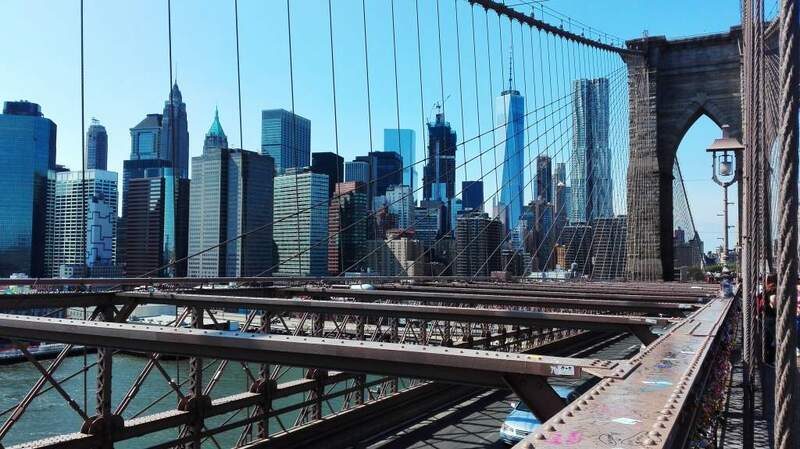 It’s common for students to look to earn some income to supplement their time in America. But instead of handing out resumes at local shopping malls, why not investigate if you can find a job on campus? Examples of on campus work include teaching assistant, research assistant, library student worker etc. and many universities advertise available positions on their websites. Here you will also find an outline of the minimum requirements that students will need to satisfy in order to be eligible for a position. 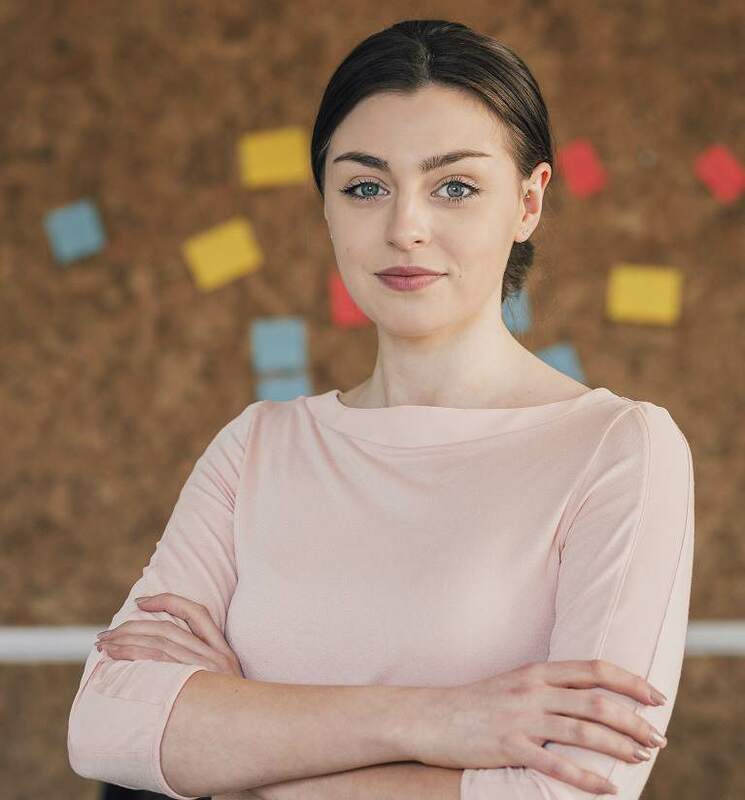 If you are on an F-1 visa, and looking for work while you study in the US, it’s vital to keep the conditions of your visa in mind. Also, you may be used to applying for jobs at home with your CV. But when you’re on the job hunt in the US, it’s good to understand the difference between CVs and Resumes. A CV is a detailed document with information on your achievements, experience and any other accomplishments like awards, qualifications and personal achievements. Meanwhile a Resume is a short summary (generally around one page in length) of your professional experience and education and, in the US, it is substantially shorter than a CV. US employers mostly prefer to receive applications which are in the Resume format. CVs are mostly used in academic circles and the medical profession. If you’d like some tips on writing a great Resume, our blog has some advice you may find useful. 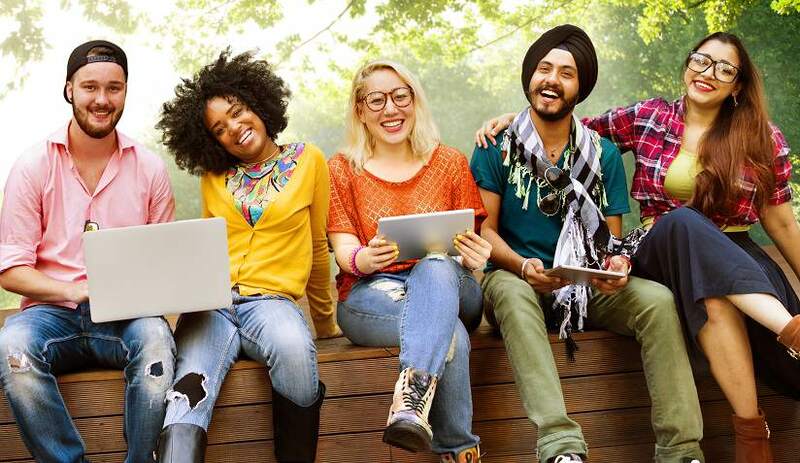 Every international student is required to file a tax return (federal and state, if required) for each year present in the US, and pay tax if they earn income. 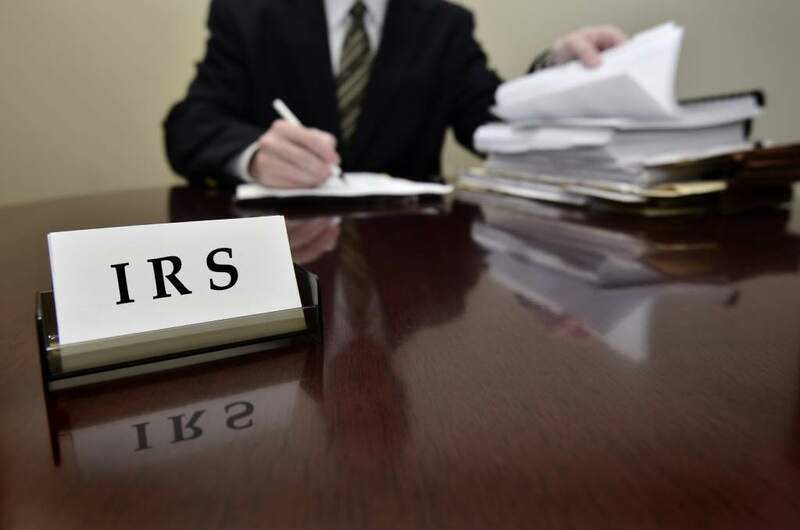 Yes, even if you don’t earn money during your time in the US, you will still need to file with the IRS by the April 17 deadline. It’s the law and there is no way around it! The terms of your visa require that you stay in compliance with all US laws, including the rules relating to income tax filing. 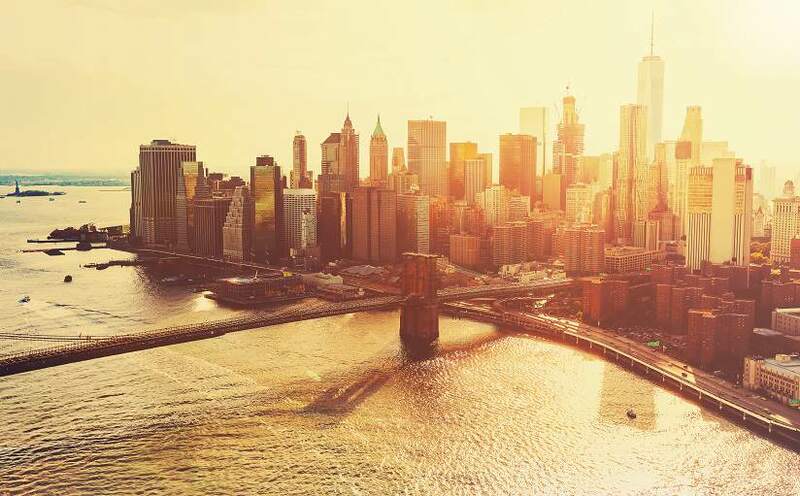 And, you should be aware that if you have ambitions of applying to be a permanent US resident in the future, you will be asked to prove that you have complied with all tax laws. Additionally, if you miss the April 17 filing deadline, interest payments and penalties can apply. So it’s understandable that so many international students find the prospect of filing a tax return to be quite daunting. Fortunately help is on hand! We’ll take care of the complex tax requirements so that you can concentrate on your studies and enjoying your time in America! Get started with Sprintax today! 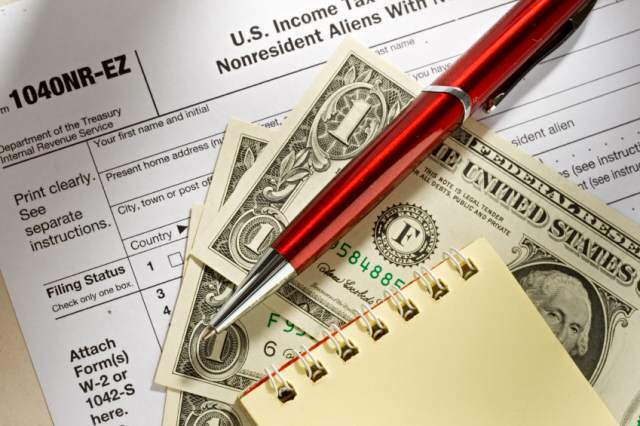 If you’re studying or working in America with your family as a non-resident alien, and if you meet certain criteria, you may be able to save money on your tax bill that you normally couldn’t if you were living as a single person. You can do this by claiming what are known as tax ‘exemptions’. Exemptions are similar to tax deductions and allow you to lower your taxable income. Each exemption is worth $4,050 (for tax year 2017). In other words, if you’re a student, scholar, teacher or researcher, you may be allowed to deduct $4,050 for each person you claim as a dependent. 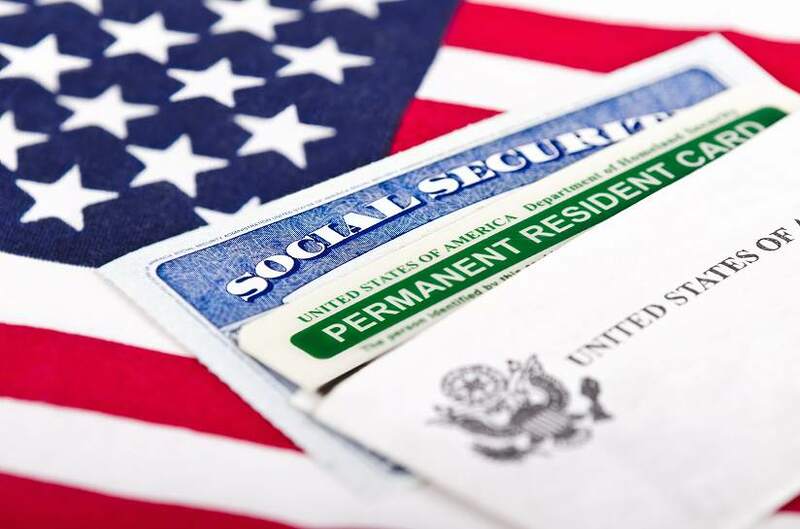 The general IRS rule states that a non-resident alien, whether single or married, may claim only one personal exemption, as long as they are not claimed as a dependent on any other US tax return (in which case their personal exemption was already used). o the dependents otherwise qualify as dependents under the normal rules. o the additional deductions for the spouse and children are distributed based on the ratio of the alien’s US income (from a US trade or business) and worldwide income (from all sources). Sprintax will estimate this ratio for you. o the children meet ALL dependency tests, including the citizenship/residency test. That is, a non-resident alien Indian Student can’t claim a dependency exemption for his child unless the child is a US citizen or a resident. The additional deductions for the spouse and children in all cases are limited to the extent of the alien’s taxable income. To determine if your child is a qualifying child for tax exemption, you’ll need to answer the following questions. • Are they related to you? The child can be your son, daughter, stepchild, eligible foster child, brother, sister, half-brother, half-sister, stepbrother, stepsister, adopted child or an offspring of any of them. • Are they a citizen or resident? The person must be a US citizen, a US national, a US resident, or a resident of Canada or Mexico. Note: children and spouse of a citizen of India or Korea must be either US national, Green Card holder or must meet Substantial Presence Test in order to qualify. • Do they meet the age requirement? Your child must be under the age of 19 or, if they are a full-time student, under age 24. There is no age limit if your child is permanently and totally disabled. • Do they live with you? Your child must live with you for more than half the year. • Do you financially support them? Your child may have a job, but that job can’t provide more than half of their support. • Are you the only person claiming them as a dependent? You can’t claim someone who takes a personal exemption for themselves or claims the same dependent on another tax form. • Are they filing a joint return? You cannot claim someone who is married and files a joint tax return. For example, if your son is married and he files a joint return with his spouse, you will not be able to claim him as a dependent on your tax return. If you’re unsure of whether you can claim a loved one as a dependent, Sprintax can help you to ascertain if you have an eligible dependent. – Identify all applicable tax treaty benefits you are able to claim, so you can get your maximum US tax refund! If you are due money back on your federal or state taxes, you ’ll want to know when you can expect that refund check or direct deposit to arrive. You can now get information about your tax refund(s) online. Read below to understand how it works. Please have in mind before looking up your refund at Where’s my Refund that The IRS has advised you to wait 4 to 6 weeks after you mail your return. The first is the IRS Refund Hotline which can be reached at 800-829-1954. This number, available 24/7, is specifically for calls regarding tax refunds. You can check the status of your state tax refund using the online refund status tools on each state’s website. Click on the links mentioned below to go directly to your state’s refund status tool. The Alabama Department of Revenue has announced it will take 8-12 weeks to receive a refund from the date a return is accepted. To check the status of your Alabama state tax refund, go to My Alabama Taxes and then click Check on My Refund Status. For more information, contact the Alabama Department of Revenue. Alaska, Florida, Nevada, South Dakota, Texas, Washington, and Wyoming don’t have income tax. If you received income such as wages, scholarship or any other earnings and/or income, you don’t need to file a return in that state. In addition, New Hampshire and Tennessee only tax interest and dividend income, not wages, scholarship, earnings, or other type of income. The Arizona Department of Revenue has announced that the processing of a paper filed tax return can take up to 12 weeks to process. For a refund to be direct deposited or mailed, it may take up to an additional seven days from the date the tax return completed processing. Click here to check the status of your Arizona state tax refund. For more information, contact the Arizona Department of Revenue. The Arkansas Department of Finance & Administration has announced it can take approximately 6 weeks to receive a refund from the date a return is accepted due to enhanced security measures. Follow this link to check the status of your Arkansas state tax refund, and then click Where’s My Refund? For more information, contact the Arkansas Department of Finance and Administration (scroll down to the Individual Income Tax section). The State of California Franchise Tax Board has announced it can take approximately 4 weeks to receive a refund (for paper filed returns). Some tax returns need extra review for accuracy, completeness, and to protect taxpayers from fraud and identity theft. Extra processing time may be necessary. Follow this link to check the status of your Arkansas state tax refund, and then click Check refund. For more information, contact the California Franchise Tax Board. Follow this link to check the status of your Colorado state tax refund, and then click Check the Status of Your Refund. For more information about refund processing click here or contact the Colorado Department of Revenue. The Connecticut Department of Revenue Services has announced it can take 10 – 12 weeks to process a paper return. Follow this link to check the status of your Connecticut state tax refund, and then click Check on the Status of Your Refund. For more information, contact the Connecticut Department of Revenue Services (DRS). The Delaware Division of Revenue has announced it can take approximately 6 weeks to receive a refund from the date a return is accepted. Follow this link to check the status of your Delaware state tax refund. For more information, contact the Delaware Division of Revenue. The D.C. Office of Tax and Revenue has announced it can take 2 to 3 weeks for processing and issuance of a refund. Follow this link to check the status of your D.C. tax refund and click on the blue Where’s My Refund? button. For more information, contact the D.C. Office of Tax and Revenue. The Georgia Income Tax Division has announced it can take 90 business days to process a return and issue a refund. Follow this link to check the status of your Georgia tax refund and click on the Where’s My Refund? button. For more information, contact the Georgia Department of Revenue. The Hawaii Department of Taxation has announced it can take 9-10 weeks to process a return and issue a refund. Follow this link to check the status of your Hawaii tax refund and click on the Where’s My Refund? button. For more information, contact the Hawaii Department of Taxation. The Idaho State Tax Commission has announced it can take 10-11 weeks to process a return and issue a refund. Follow this link to check the status of your Idaho tax refund and click on the Where’s My Refund? button. 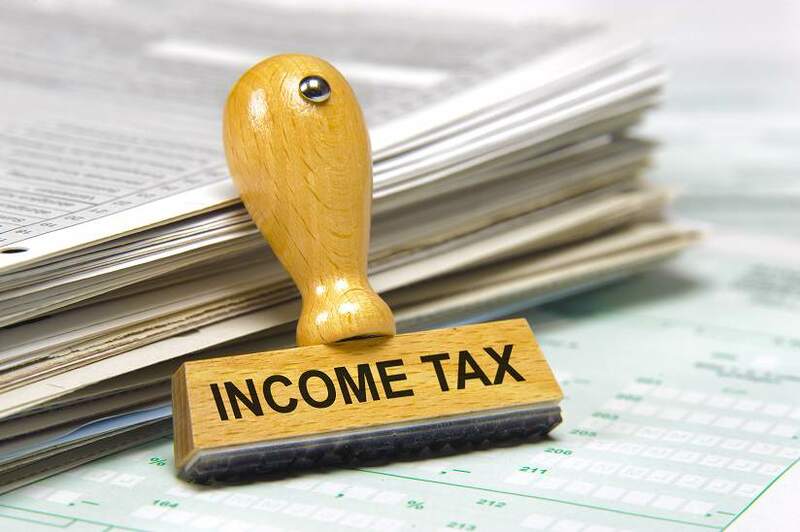 For more information, contact the Idaho State Tax Commission. Follow this link to check the status of your Illinois tax refund. For more information or to contact the Illinois Department of Revenuer click here. The Indiana Department of Revenue has announced it can take approximately 10 weeks to process a return and issue a refund. Follow this link to check the status of your Indiana tax refund. For more information, contact the Indiana Department of Revenue. The Iowa Income Tax Department of Revenue and Finance has announced it can take approximately 3 weeks to process a return and issue a refund. Follow this link to check the status of your Iowa tax refund. For more information, contact the Iowa Department of Revenue. The Kansas Department of Revenue has announced normal processing time for a paper return is 16 weeks. Follow this link to check the status of your Kansas tax refund. For more information, contact the Kansas Division of Taxation for Individuals. The Kentucky Revenue Cabinet has announced it can take 8-12 weeks to process a return and issue a refund. Follow this link to check the status of your Kentucky tax refund and click on the Check Refund Status online button. For more information, contact the Kentucky Department of Revenue. The Louisiana Department of Revenue has announced the processing time for paper returns is 12-16 weeks from the date the return was mailed. Follow this link to check the status of your Louisiana tax refund. For more information, contact the Louisiana Department of Revenue or call 1-855-307-3893. The Maine Revenue Services has announced that Maine tax refunds take up to 14 days to be processed. Follow this link to check the status of your Maine tax refund. For more information, contact the Maine Revenue Services Department. The Maryland Controller of the Treasury has announced that the processing of paper returns take approximately 30 days. Follow this link to check the status of your Maryland tax refund. For more information, contact the Comptroller of Maryland. 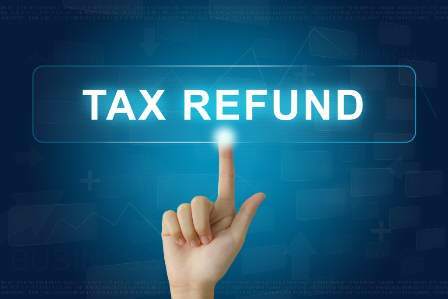 Follow this link to check the status of your Massachusetts tax refund and click on the Where’s My Refund? button. For more information, contact the Massachusetts Department of Revenue. 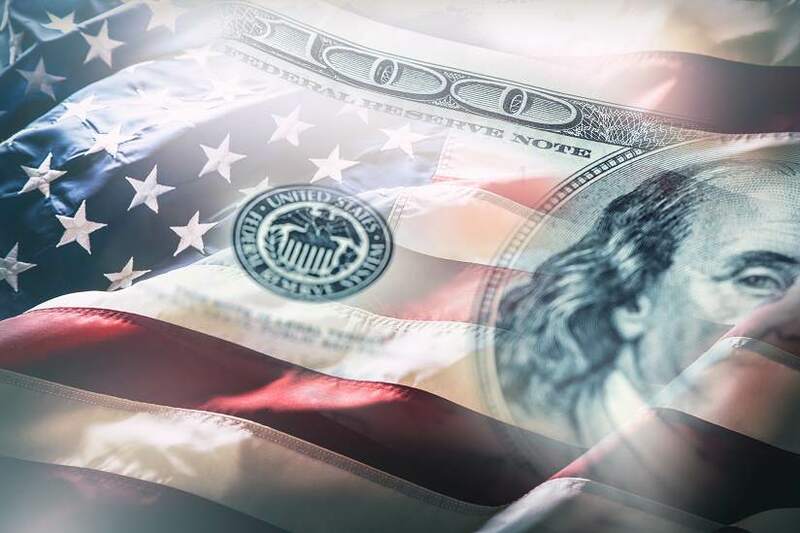 The Michigan Department of the Treasury has announced it can take approximately 8 weeks to process a return and issue a refund. 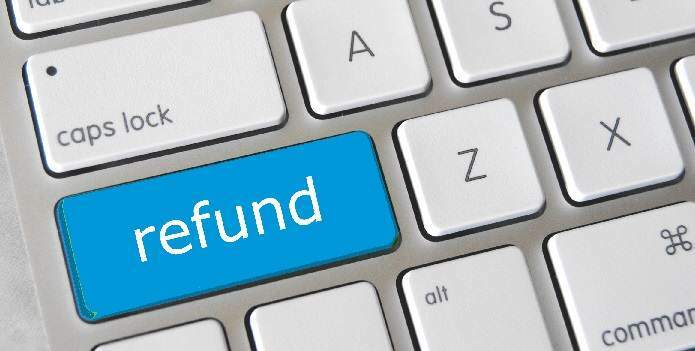 Follow this link to check the status of your Michigan tax refund and click on the Check my tax and refund information button. For more information, contact the Michigan Department of Treasury. 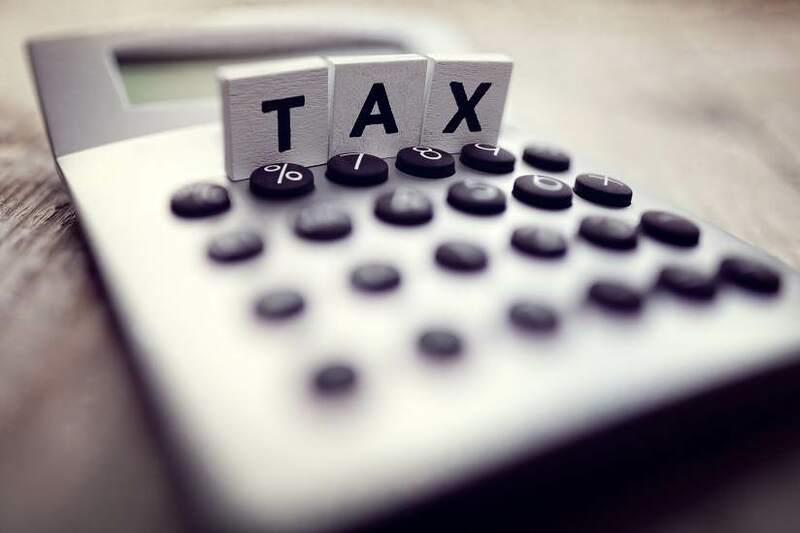 The Minnesota Individual Income Tax has announced it can take approximately 6 weeks to process a return and issue a refund. Follow this link to check the status of your Minnesota tax refund. For more information, contact the Minnesota Department of Revenue. Follow this link to check the status of your Mississippi tax refund. For more information, contact the Mississippi Department of Revenue. The Missouri Department of Revenue has announced it can take 8-10 weeks to process a return and issue a refund. Follow this link to check the status of your Missouri tax refund. For more information, contact the Missouri Department of Revenue. The Montana Department of Revenue has announced it can take approximately 8 weeks to process a return and issue a refund. Follow this link to check the status of your Montana tax refund and click on the Where’s My Refund? button. For more information, contact the Montana Department of Revenue. The Nebraska Department of Revenue has announced it can take 15-21 days to process a return and issue a refund. Follow this link to check the status of your Nebraska tax refund. For more information, contact the Nebraska Department of Revenue. The New Jersey State Department has announced it can take 12 weeks or longer to process a return and issue a refund. Follow this link to check the status of your New Jersey tax refund. For more information, contact the New Jersey Division of Taxation. The New Mexico Taxation & Revenue Department has announced it can take approximately 8-12 weeks to process a return and issue a refund. Follow this link to check the status of your New Mexico tax refund and click on the Where’s My Refund? button. For more information, contact the New Mexico Taxation and Revenue Department. The New York State Processing Center has announced it can take 8-12 weeks after the return is mailed to issue a refund. Follow this link to check the status of your New York tax refund and click on the Where’s My Refund? button. For more information, contact the Department of Taxation and Finance. The North Carolina Department of Revenue has announced it can take approximately 12 weeks to process a return and issue a refund. Follow this link to check the status of your North Carolina tax refund and click on the Where’s My Refund? button. The North Dakota Office of State Tax Commissioner has announced it can take approximately 6 weeks to process a return and issue a refund. Follow this link to check the status of your North Dakota tax refund and click on the Where’s My Refund? button. For more information, contact the North Dakota Office of the State Tax Commissioner. The Ohio Department of Taxation has announced it can take a minimum of 30 days to process a return and issue a refund. Follow this link to check the status of your Ohio tax refund. For more information, contact the Ohio Department of Taxation. Follow this link to check the status of your Oklahoma tax refund. For more information, contact the Oklahoma Tax Commission. Follow this link to check the status of your Oregon tax refund. For more information, contact the Oregon Department of Revenue – Personal income tax. The Pennsylvania Department of Revenue has announced it can take 3 to 4 weeks for the refund to be mailed or direct deposited. Follow this link to check the status of your Pennsylvania tax refund and click on the Where’s My Refund? button. For more information, contact the Pennsylvania Department of Revenue. The Rhode Island Division of Taxation has announced it can take 5 to 7 weeks to process a return and issue a refund. Follow this link to check the status of your Rhode Island tax refund. For more information, contact the Rhode Island Division of Taxation. Follow this link to check the status of your South Carolina tax refund. For more information, contact South Carolina Department of Revenue. The Utah State Tax Commission has announced it can take 90 days to process a return and issue a refund. Follow this link to check the status of your Utah tax refund and click on the Where’s My Refund? button. For more information, contact the Utah State Tax Commission. The Vermont Department of Taxes has announced it can take approximately 8 weeks to process a return and issue a refund. Follow this link to check the status of your Vermont tax refund (click on Individuals and then click on the Check the status of my return button). For more information, contact Vermont Department of Taxes. The Virginia Department of Taxation has announced it can take up to 8 weeks to process a return and issue a refund. Follow this link to check the status of your Virginia tax refund. For more information, contact the Virginia Department of Taxation. Follow this link to check the status of your West Virginia state refund. Follow this link to check the status of your D.C. tax refund and click on the Where’s My Refund? button. For more information, contact the Wisconsin Department of Revenue.